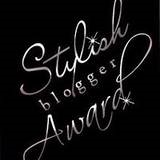 And here are the blogs I’ve decided to pass on the Stylish award to, in no particular order. I’ve found inspiration at each and every one of them, and hope you will too! I’m working on the post for this but probably won’t be able to post anything until Saturday or Sunday. Thanks for the award.